Wouldn’t it be lovely to get out of bed each morning and not have to limp to the toilet. This is one of the consistent complaints of anyone suffering plantar fasciitis. Chances are if you are reading this, you have had it for a while now. Most people we see in the clinic put up with it for 6 or more months before they come in for treatment. You may have already tried various remedies then given up, but there is still hope. 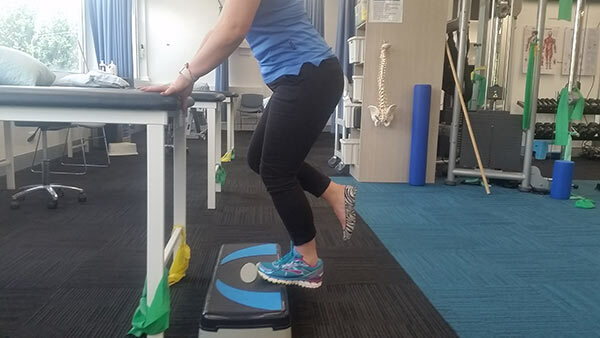 Through research, Physiotherapists have been refining the way we treat plantar fasciitis over the last 5-10 years. I personally feel more confident than ever before when someone comes in with persistent heel pain. The plantar fascia is a strong piece of ligament like tissue that runs from the base of the calcaneus (heel bone) to the balls of the toes. Technically it is classified as a ligament because it connects from bone to bone. However, it’s job is to transfer power from your strong calf muscle to the ball of the foot. This action helps with forward propulsion in running, hopping and jumping. In the process it also helps hold the arch of the foot up. Because of this role of force transmission, the plantar fascia acts and behaves more like a tendon than ligament. If you really want to get in to the nitty gritty it is known as the windlass effect. Is Plantar Fasciitis an “isis”, “osis” or “opathy” ? 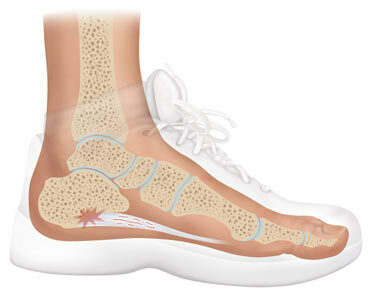 Plantar fasciitis is the common term used to describe pain felt in the plantar fascia region. Usually this occurs at the point where plantar fascia attaches to the heel. However it can also be in the middle of the arch or even more rarely where it attaches towards the toe end of the foot. If we want to be pedantic plantar fasciitis is a poor description. The suffix “itis” refers to the fact that there is an inflammatory process occurring. This isn’t necessarily true of all people limping in to the clinic. We could more accurately refer to it as plantar fasciosis as the “osis” part refers to degeneration of the tissue without an inflammatory response. Better still, the most accurate name would be plantar fasciopathy. The suffix “opathy” refers to any sort of pathology in a tendon related to repetitive overuse. However for what ever reason, plantar fasciitis has stuck around as the name that it was given many years ago, despite not necessarily being all that clinically accurate. How does Plantar Fasciitis start? Since the role of the plantar fascia is to transfer force, the usual mechanism of injury to the plantar fascia is changing the amount you use it in a short period of time. As you can see there is usually a change in type of exercise, volume of exercise, or footwear. The result is an overloading of the plantar fascia tissue which then starts to break down. Unfortunately this is very common with tendons – too little stress on them and they loose strength, and too much stress on them and they also deteriorate structurally. On the positive side it is somewhat reversible. Often GP’s refer a sore heel for an x-ray and a lot of the time it shows a heel spur. This usually isn’t an issue. More so a symptom of the fact that the plantar fascia has been working hard for a long period of time. 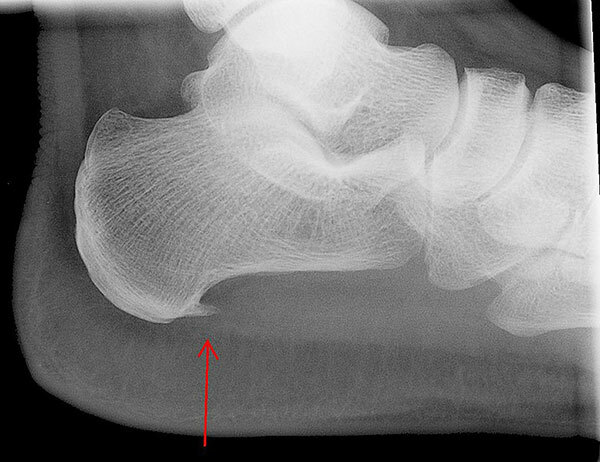 The heel spur is the attachment point of the plantar fascia to the calcaneus (heel bone). Over time with lots of load, your body lays down bone a small distance into the fascia. Usually this in itself doesn’t cause any pain. Most often it’s the fascia pulling on the spur that is the problem. In the past surgeons would remove the heel spur but results were sporadic at best. Mostly because they hadn’t solved the issues of strength and biomechanics. *This last one can potentially unload the plantar fascia drastically so on its own can sometimes be enough to fix the problem. 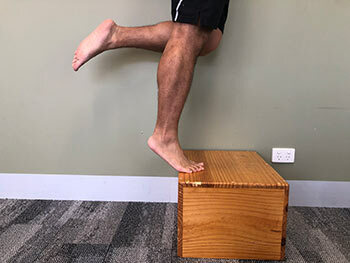 However to fully fix the issue we need to prompt the plantar fascia tissue to change by doing some strength exercises. Because changing footwear changes the way our plantar fascia acts when it hits the ground it is important to get this right. 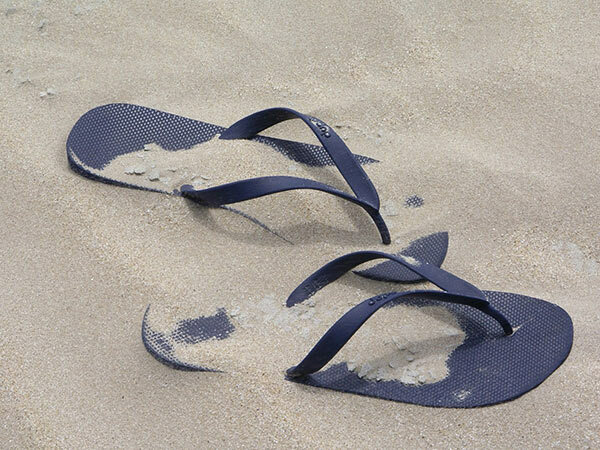 Most people with plantar fasciitis fall in to one of 2 categories – a flat arch or a high arch. As a general rule the flat arch people have flexible feet that shock absorb well but have difficulty transferring force from the calf to the toes during walking and running. The lack of force transmission can be due to the arch collapsing. If this is you, then you will generally feel better in supportive shoes with a strong sole. 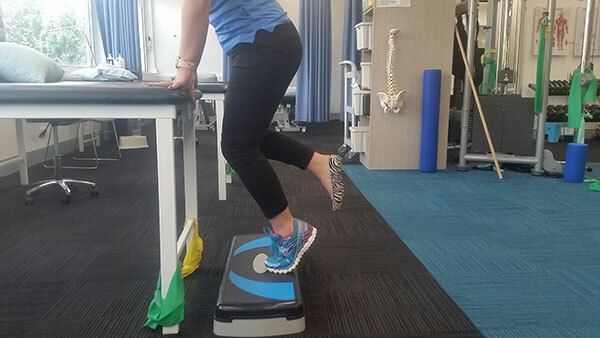 Orthotics may be helpful but get them from a podiatrist or physio – if they are off the shelf then they aren’t specific to you and are less likely to work. You do need to be careful as to how the orthotic holds the arch up. 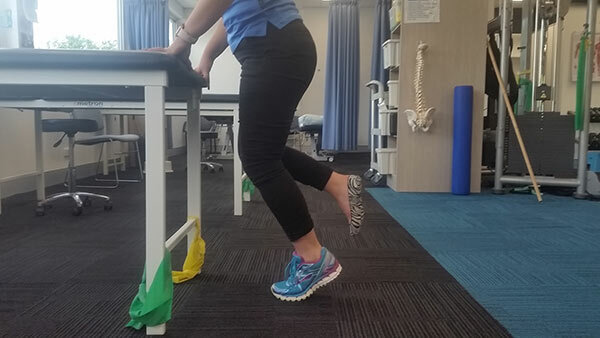 I have seen a few orthotics or shoes with high arch support that create a secondary problem by pushing hard into the arch itself which only results in an unhappy plantar fascia at the contact point. If you are a high arch person generally your foot transmits force well but shock absorbs poorly. You will probably prefer shoes that provide support but also cushioning through the heel. This way you don’t have to do as much of the shock absorption when your heel hits the ground. It’s all about the strength! So all those remedies are useful, but recent studies have shown to fix the problem you need to get stronger. Tendons (and the plantar fascia) are “dumb tissue”. A degenerative tendon won’t heal unless prompted to heal. And as I showed earlier the plantar fascia works more like a tendon than a ligament. Technically when we are doing our strengthening we aren’t fixing the degenerated part of a tendon. We are actually strengthening the healthier part around which allows the tendon as a whole to be stronger. So how do you make the plantar fascia stronger? Think calf strength. Strong calves = strong plantar fascia and good propulsion forward. Recent evidence suggests that your soleus strength (lower calf muscle) is slightly more important. How hard the strength exercises are is very dependent on how severe the problem is. This is probably where you need some physio help. Too hard and the tendon degenerates further. Too easy and there is minimal strengthening effect. So finding the right difficulty level and volume of loading is paramount. As a general rule it is good to start with isometric holds. This is a nice comfortable starting point. Stand at a bench, bend the knees very slightly then raise your heels up off the ground. I often start people with 5 holds of 45 seconds once a day. However this is usually based on an assessment of their capacity so isn’t the same for everyone. Single foot or both feet is dependent on strength and pain levels. Then we start adding in some movement. Again single foot or 2 feet is dependent on strength and pain levels. Lift up on to your toes with a straight knee then slowly lower. Whether you do it on a step or flat ground depends on your strength. 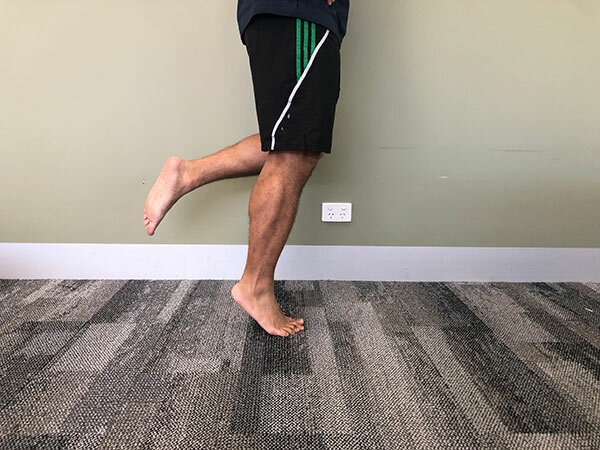 Lift up on to your toes with a slightly bent knee. Whether you do it on a step or flat ground depends on your strength. To make these and the above exercises harder you can always carry a weight. Then progress to hopping or something more speedy. To do this practice bouncing on the spot without letting your heel touch the ground similar to skipping with a rope. These progressions happen over weeks to months depending on how weak or strong you are to begin with. 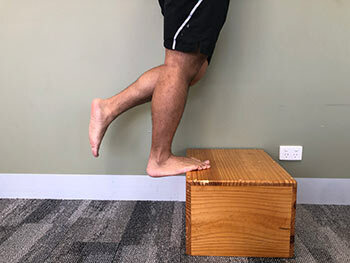 Usually you should perform the calf raises every second day to allow the plantar fascia to recover on the rest days. Doing them daily or too frequently can result on tissue breakdown rather than tissue building. Remember more isn’t necessarily better. Once again the amount should be prescribed by your therapist. I would almost always start these exercises in runners before progressing to barefoot or less supportive shoes. If you are doing all the calf (and by virtue plantar fascia) strengthening then you will want some rest afterwards. Ideally whilst increasing these exercises do your best not to add in more walking or running until you are very confident you have the symptoms under control. Remember, too much loading causes tissue breakdown. You may require rest days in between the exercise days. Keep fit by swimming, cycling, rowing, or pretty much any non-impact with the ground exercise. If you have had pain for a long time there is no quick fix. It takes a months to gradually build strength. If strengthening was quick and easy we’d all be Olympic athletes. If you follow the recipe for strengthening correctly and use some of the pain relieving remedies you should see fairly immediate changes. However you shouldn’t expect to be fixed for between 3 and 12 months depending how severe it is. But it will be worth the effort once you get it there! Can we speed things up a bit? Recent studies from the Australian Institute of Sport have looked at gelatin supplements as a way of speeding up the recovery. Basically you need 15g of gelatin in a vitamin D rich drink 1 hour prior to doing your strengthening exercises. That way you have the building blocks in your blood stream ready to go when you stimulate a strengthening response. This is very new research but seems to have some merit. Personally I would give it a go if I needed to. However we are still waiting on follow up studies to reproduce the results and fine tune the amount and timing of the gelatin. 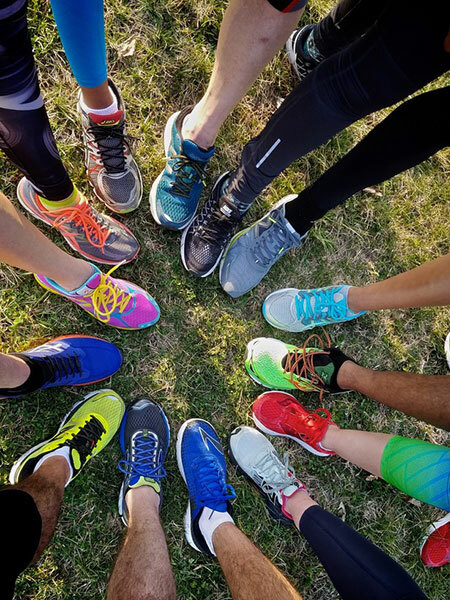 Taping: How to Tape Your Ankle, Knee or Plantar Fasciitis Essential Guide to Buying Your Next Pair of Running Shoes Learn How You Can Manage Your Chronic Pain! 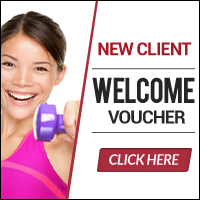 FREE 10 Minute Footy Boot Check!